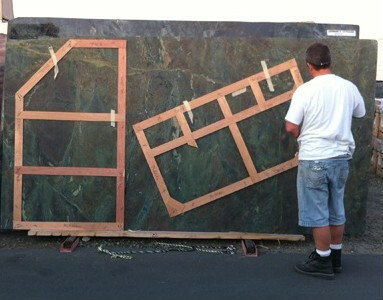 One Source Stone offers its' exclusive at home template layout service for Southern California. 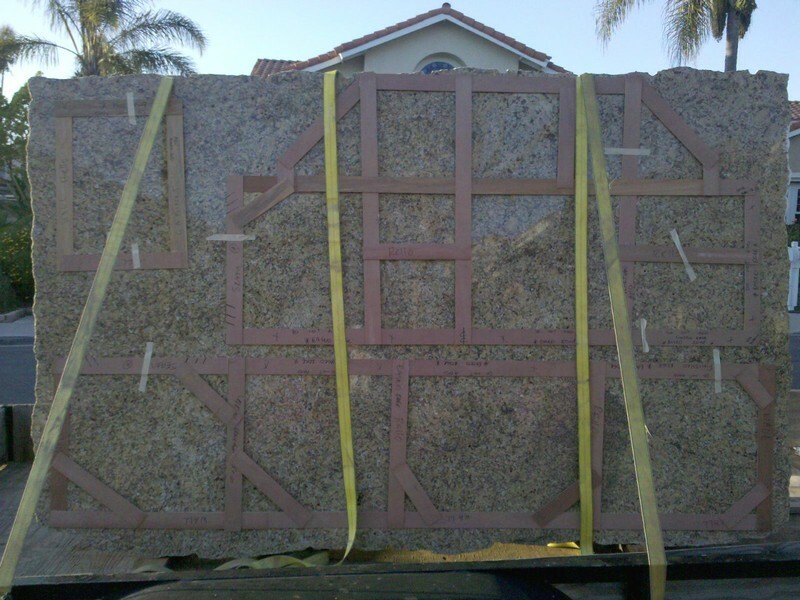 Once templating of your project has been completed, we invite you outside to your front yard or driveway to view the layout of the project onto your slab granite or natural stone material. How is this accomplished? One Source Stone picks up your natural stone material that you have pre-selected and we deliver it to the project site for your review of the templates. This unique service is offered for our clientele in San Diego, Orange County and Los Angeles County, that have a remodel of their kitchen or bath living space with One Source Stone. This gives you our client, a first hand view of direction of flow within your slab and how that would effect seam locations. If your natural stone has movement and or patterns in the stone, we would at this time discuss how to include or omit certain parts of the slab per your preferences. Typically, 1 hour is needed for the layout process from start to finish.